The Delhi High Court in Wilson Mathew v. State dated 15.9.2015 has held that Security cheques per se would not get out of the ambit of Section 138 of the NI Act. There is no magic in the word "security cheque", such that, the moment the accused claims that the dishonoured cheque (in respect whereof a complaint under Section 138 of the Act is preferred) was given as a "security cheque", the Magistrate would acquit the accused. 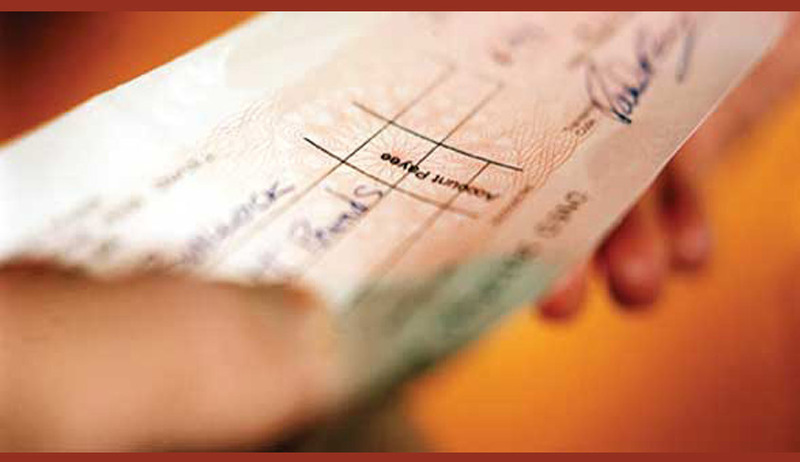 The expression "security cheque" is not a statutorily defined expression in the NI Act. The NI Act does not per se carve out an exception in respect of a „security cheque‟ to say that a complaint in respect of such a cheque would not be maintainable. There can be myriad situations in which the cheque issued by the accused may be called as security cheque, or may have been issued by way of a security, i.e. to provide an assurance or comfort to the drawee, that in case of failure of the primary consideration on the due date, or on the happening (or not happening) of a contingency, the security may be enforced. While in some situations, the dishonor of such a cheque may attract the penal provisions contained in Section 138 of the Act, in others it may not." "Thus, I am of the considered view that there is no merit in the legal submission of the respondent accused that only on account of the fact that the cheque in question was issued as security in respect of a contingent liability, the complaint under Section 138 of the NI Act would not be maintainable. At the same time, I may add that it would need examination on a case to case basis as to whether, on the date of presentation of the dishonoured cheque the ascertained and crystallized debt or other liability did not exist. The onus to raise a probable defence would lie on the accused, as the law raises a presumption in favour of the holder of the cheque that the dishonoured cheque was issued in respect of a debt or other liability." The counsel for the complainant referred to the decision of ICD vs. Beena Shabir and Anrs. : 2002(6) SCC 426 wherein the Supreme Court has held that the security cheques also would fall within the purview of the Section 138 of the NI Act and a person could not escape his liability. Though the Court held that Security cheques per se would not get out of the ambit of Section 138 of the NI Act, but held that in the facts of the present case, viz. the circumstance in which the security cheque is said to have been issued by the accused and accepted by the complainant and the admission of the complainant about his having accepted Rs.8 lacs. from the accused and his denial of having paid Rs.10 lacs to the accused the case of the complainant appears to be highly doubtful, and thereby acquitted the Accused.